An easy-riding and versatile all-mountain bike that rides well but has a bland personality. The freshly redesigned Trek Remedy in an easy-riding all-mountain bike. This bicycle has 150mm of travel, rolls on 27.5-inch wheels, and delivers predictable downhill performance paired with reasonable climbing abilities. Two testers spent two weeks hammering the 2019 Remedy around the Sierra Nevada Mountains to gain a thorough understanding of this long-running model in the Trek lineup. The 2019 Remedy offers plush and predictable downhill performance. At 33 lbs, this bike is heavy….no way around it. That said, it scoots uphill well-enough even though it relies heavily on the shock's climb to maximize efficiency. The geometry is decisively conservative by 2018 standards. As a result, the Trek doesn't demand high speeds or an aggressive pilot to be fun. The Remedy 8 retails for $3999 and comes outfitted with impressive components. If the 19.5-inch Remedy looks small on our 6'1" tester, it is. This bike has a very tight top tube. The Trek Remedy is a nice choice for a lot of riders. Those who want a versatile bike but don't demand cutting-edge geometry or the lightest and fastest bike will like this rig. The Trek gets it done on all areas of the trail and comes with some pretty impressive components. The Remedy charges hard enough and climbs well enough for the majority of riders. What this bike lacks in top-end performance, it makes up for with its easy-going attitude and a wide range of terrain on which it is comfortable. This agreeable and reliable bike comes with excellent components and should work splendidly for casual and intermediate riders. The Canyon Spectral is a fantastic mid-travel trail bike at an eye-popping price. This bike rolls on 27.5-inch wheels and has 140mm of rear wheel travel. The Canyon is approximately two pounds lighter than the Trek and offers a much more comfortable climbing experience. The Spectral delivers a fun and predictable downhill performance highlighted by 2.6-inch Maxxis rubber and a quick-witted attitude. The Remedy has a little more travel and handles rowdy and rough terrain more confidently. 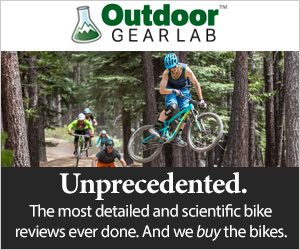 The Spectral AL 6.0 sells for $2399 with a RockShox Pike, SRAM GX Eagle, and a RockShox Reverb. The active suspension is excellent through boney and technical sections of trails. Like the idea of 27.5-inch wheels and 150mm of travel? Want to push your limits a little harder? The Santa Cruz Bronson is an aggressive and capable all-mountain bike. The Bronson offers superior downhill performance compared to the Remedy. The Santa Cruz has more aggressive angles, holds up better at high speeds, and is more supportive deep in its suspension. The Remedy has better small bump feel and it rides better at slow speeds. On the ascent, the Bronson is an efficient climber given how hard it parties on the descent. It climbs well without the climb switch and offers a much more supportive pedal platform compared to the Trek. The Santa Cruz is a little more expensive compared to the Trek with the similarly equipped model selling for $4199. The Remedy has been a popular bike in the Trek lineup for some time. This balanced bicycle was introduced in 2006 with 26-inch wheels and has also run 27.5 and 29-inch wheels. This bike runs 150mm of rear wheel travel and uses the Active Braking Pivot (ABP) Suspension design. ABP uses a pivot above the bottom bracket and a rocker link approximately halfway up the seat tube. There is a pivot located at the rear axle that is designed to reduce the influence of braking forces. ABP provides a very plush downhill ride with excellent bump compliance and a cloud-like feel. The major downside is that this suspension design relies heavily on the shock's climb switch on the ascent. We rode a 19.5-inch (roughly a large) test bike. This bike has a 622mm top tube and a 457mm reach measurement. The chainstays are 433mm and the wheelbase is 1203mm. The head tube angle measures a moderate 66.1-degrees. Our test bike hit the scales at 33 lbs 4 ounces with tubes and without pedals. It should be noted that while the 457mm reach measurement seems reasonable, this bike feels very short. Our 6'1" tester was extremely cramped. If you are in between sizes, we highly recommend sizing up on this bike. -Build kits starting at $3499. -Available in 13.5", 15.5", 17.5", 19.5", 21.5", 23"
The ABP suspension delivers a plush and comfortable ride on small bumps and big hits. The Remedy is a solid and predictable descender. The ABP suspension provides a supremely comfortable and plush ride. The conservative geometry is a curse and a blessing. On one hand, it handles well at slower speeds with a less aggressive pilot. On the other hand, when you're pinned, a longer and slacker design would add stability and confidence. The component grouping worked well although the Knock Block stem/headset proved to be problematic. The long and low trend is in full swing in 2018. 65-degree head tube angles and 1230+mm wheelbases are commonplace on 150mm travel bikes. In addition, bottom bracket heights are creeping lower and lower. Many of these bikes are tremendously stable at high speeds and feel planted and grounded. The problem with these long and low bikes is that they often require aggressive riders and high speeds to come alive. Long wheelbases and slack angles can feel clunky in tight spaces or at slower speeds. The 160mm Lyrik creates a stout and confident front end. The Remedy doesn't buy into the long and low trend. This bike is designed with conservative geometry including a reasonable 1203mm wheelbase and 66.1-degree head tube angle. The result is a relatively nimble and easy-riding bicycle. The Remedy rides well at slow speeds. This bicycle works through tight spaces effectively and works through tight corners well (aside from Knock Block quirk outlined below). A lot of people can have fun riding this bicycle and that is a high compliment in our books. On the downside, the Trek can feel a little squirrely at very high speeds or charging through serious chunder. This is the scenario where slacker geometry and a slightly lower bottom bracket might enhance performance. Still, the middle-of-the-road geometry works well for the overwhelming majority of trails. The ABP suspension delivers a plush and comfortable ride. The Remedy has a more linear feel compared to what we are used to. Progressive suspension is the opposite of linear and it tends to ramp up deeper in the stroke. Progressive designs provide more deep stroke support as they are harder to push deep into their travel. Linear designs are more plush with a smoother feel throughout the stroke. The Remedy has a supple and comfortable feel. The rather linear nature of this bike makes it possible to blow through the travel on occasion, but it does take a pretty substantial impact. The shorter wheelbase allows this bike to easily bend through corners. The Remedy steers well and responds well to rider input. The short wheelbase and upright geometry negotiate corners effectively and the 2.6-inch Bontrager XR4 tires are solid and can back up aggressive maneuvers. Make no mistake, at nearly 33.5-pounds, it does take the effort to lift this bicycle off the ground to pop over roots or rocks. The Knock Block is a system in the headset and stem on some Trek mountain bike frames. Knock Block is a feature that prevents the handlebars from spinning around too far and damaging the frame in the event of a crash. With the use of Knock Block, Trek can design the downtube of their frames differently since they don't need to worry about the fork crown clearing the frame. The result, Trek claims, is a stiffer frame. The Knock Block can be problematic on tight and old school trails. If you are turning hard on legitimately tight corners, you may max out the steering and the Knock Block will not allow you to steer aggressively enough to make the corner. It should be made very clear that it takes a very sharp corner to experience this problem. If you ride purpose-built mountain bike trails or normal trails, this will be a non-issue. The 160mm RockShox Lyrik RC is a stellar specification at the $3999 price tag. The Lyrik is stout, reliable, and smooth and worked flawlessly. The SRAM Guide R brakes are decisively fine and the Bontrager Line Comp 30 wheels were excellent. The 54-tooth hub engagement is quick and very beneficial for slipping in pedal strokes out of a corner. The Bontrager XR4 tires were surprisingly effective. They lack the aggressive shoulder knobs found on some of our favorite tires. That said, the XR4s hook up well and they have a smooth transition from the center knobs to the shoulder knobs. Thanks to the active suspension, rear wheel traction is stellar on the climb. The Remedy is a predictable climber that shines on technical climbs. This bike is definitely heavy and it is certainly noticeable on sustained climbs. The climbing position is comfortable but the tight top tube can be awkward. The component grouping worked well-enough on the ascent. The Remedy sets you up in a nice climbing position. You are more or less on top of the bottom bracket. This helps transmit power efficiently and directly to the cranks. It is important to note that this bike benefits heavily from the use of the shock's climb switch, especially on smooth or semi-smooth trails. If you leave the RockShox Deluxe in the open position, there is substantial amounts of pedal bob. The middle shock position delivers the best balance of efficiency and traction. If you encounter substantial amounts of root-laced or ultra rocky climbs, the Remedy is a great choice. With the shock in the open position, this bike delivers exceptional traction. Yes, the suspension is very active and bobs a bit, but the traction is stellar. Your rear wheel feels glued to the ground and it allows you to scoot right up a problematic section of trail. The relatively short wheelbase on the Trek is beneficial in most situations. This bike bends through corners effectively. In addition, the more compact axle to axle measurement makes it easier to pull this bike up and over obstacles. Where longer bikes can get hung up more easily on a ledgy climb, the shorter Remedy scoots right up and over. Given its heft, the Remedy takes some effort on steep climbs. There is no way around the heft of this bicycle. It takes alot of energy to take this bike on 3+ hour trail rides. This bike is especially exhausting if you're trying to climb with any sense of urgency. Here at OutdoorGearLab, we are far from weight-weenies, but once you break 32-pounds, it's a different story. We would be very interested to try the carbon fiber version. The Remedy 9.7 has a carbon frame with a relatively close build kit and sells for $4199. The 9.7 set up tubeless would weigh under 30-pounds. That is intriguing. The build kit works well on the ascent. The SRAM GX Eagle works fine and it is nice to have that 50-tooth climbing gear. The Bontrager XR4 2.6-inch tires are solid on the climb. The wide footprint delivers a nice contact patch and the tread pattern rolls reasonably quick. There were tubes installed in our test bike. Setting this bike up tubeless would allow riders to run a lower tire pressure and would only add to the excellent climbing traction while also saving weight. Our Remedy 8 sells for $3999. This model features a killer build kit including a RockShox Lyrik fork, SRAM GX Eagle drivetrain, a Bontrager dropper post, and SRAM Guide R brakes. Pair these stellar components with reliable on-trail performance and you have a strong value. This bike would be a particularly nice value for newer or less aggressive riders who don't need the latest and greatest. Advanced riders and hard chargers might find the somewhat outdated geometry to detract from top-end performance. The Remedy is a well-rounded all mountain bike. The Trek Remedy 8 is a prime example of an accessible trail bike. A huge group of riders can have fun on this rig and that is a high compliment. Downhill performance is decent and the ABP suspension is exceptionally plush and it feels like riding on a cloud. Climbing abilities are decent regardless of the lofty 33.5-pound weight. This bike carries a reasonable $3999 price tag and is outfitted with some impressive components.